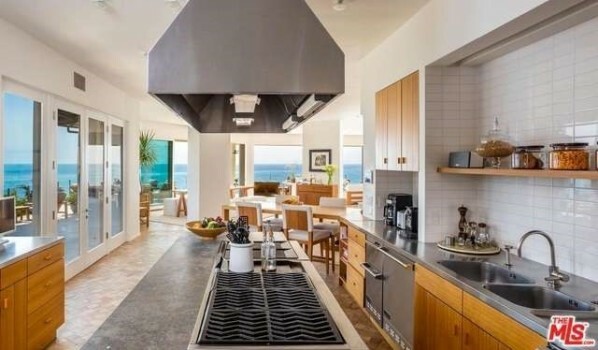 The supermodel and her husband, Rande Gerber, are selling the sprawling property in the exclusive Encinal Bluffs neighbourhood. Supermodel Cindy Crawford and her husband, businessman Rande Gerber, have listed their newly-renovated property in Malibu for a cool $60m (£48.3m). Cindy and Rande have “transformed” this private and secluded beach-front estate. It has a fresh, crisp finish; a palette of creams and beiges are the order of the day here. The main floor comprises spacious sitting and dining areas and a sparkling new kitchen with a large island and breakfast bar. The rooms boast floor-to-ceiling sliding glass doors that open up onto a wraparound deck with a fire pit and panoramic views of the ocean. Upstairs, there’s nothing spared on the master suite either. It has ocean views, a fireplace, sitting area, two separate spa-like baths and wardrobes. There is also a further two ensuite bedrooms – and a TV room, which can be switched into an additional bedroom or office. Plus, a suite with another island kitchen, bath and wardrobe. The property sits within three acres of manicured grounds with mature trees, swimming pool, tennis court, three-car garage and a direct path to the beach. It's located in Encinal Bluffs, an exclusive area of Malibu popular with the rich and famous, such as Julia Roberts and former Disney chief executive Michael Eisner. The beachside estate has a $60m price tag – reportedly $9.5m more than what the celebrity couple paid for it a year ago. It’s on the market with Coldwell Banker. Cindy and Rande are also thought to own a neighbouring estate in Encinal Bluffs. 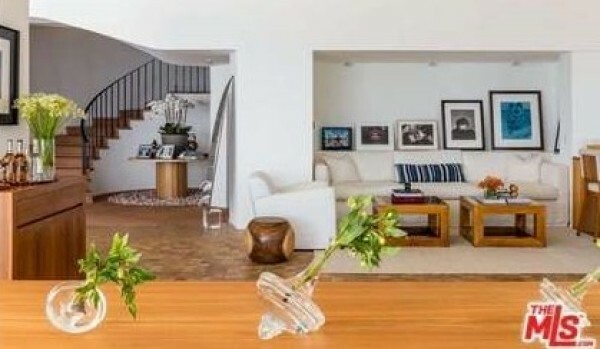 And just last year, they sold a house on Malibu’s Point Dume for a rumoured $13.3m. Malibu is blessed with good looks: coastal mountains, wide, sandy beaches and crashing waves. It has gained itself a reputation as something of a surfing mecca – and a magnet for celebrities, who head for the many discreet, sprawling mansions in the area. The city is just over an hour west of the heart of Los Angeles. 1. The four-bedroom Serra Lake House is located in the heart of Malibu. This striking property features an outdoor kitchen and bar, sunken fire pit, butler's pantry and accommodation for up to 70 cars. It costs $20m via Coldwell Banker. 2. This four-bedroom house has a prime spot on one of the best beaches in Malibu, La Costa. The two-storey home is tastefully furnished and comes with a maid's room. It has a $9m price tag with Sotheby's International Realty.